Cape Town – An environmental group has claimed its officials have been forced to leave Namibia after exposing the country’s annual seal cull. 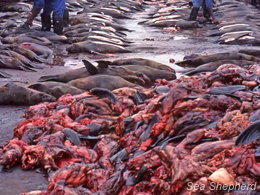 “For the past month, Sea Shepherd Conservation Society has based a group of crew members near Cape Cross, home of the largest Cape fur seal colony in the world, on a covert mission to document and expose the annual slaughter of 91 000 Cape fur seals,” the Sea Shepherd Conservation Society said. 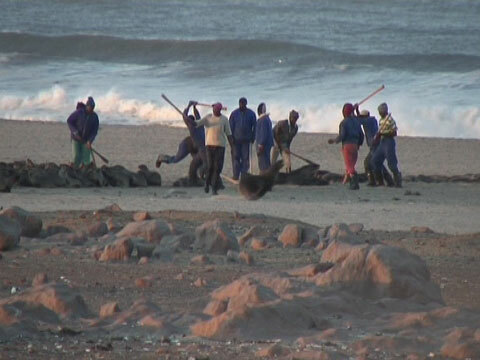 Namibia regularly authorises culls of seals the country deems to have an impact on the environment. The species is not threatened, but has a Cites listing (Appendix II 04/02/1977) that it might become endangered. Environmental groups around the world have called for a halt to the process of culling them by countries such as Namibia and Canada. The Sea Shepherd said that mission to draw attention to the cull was interrupted when its president was spotted. The organisation said that as Watson left the country, the rest of the crew made their way to the seal colony in order to plant hidden cameras to expose the culling. A similar strategy was employed by The Cove producer Fisher Stevens which exposed the dolphin slaughter in Taiji, Japan that led to an international outcry over the practice. The Namibia navy, however, detected the activity on the beach and Sea Shepherd crew had to flee to SA. The organisation has waged an unconventional war on whaling since 1981 and doesn’t shy away from controversy. One of the Sea Shepherd crew, Pete Bethune, boarded a Japanese whaling vessel in 2010. He was released amid a diplomatic storm and Australia has threatened legal action against the Japanese over their whaling practices. ~ by FSVSF Admin on 15 August, 2011.